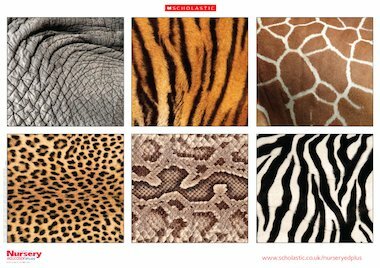 Use this poster to help children identify animals and assist in role play. Use the different patterns in various activities and matching games. The poster can be displayed as a single page or each pattern cut out and laminated. See the poster notes for more ideas about how to use this with your children.